While in college, I saw the opportunity to build technology solutions to address major problems within the real estate process. It seemed like technology was just starting to take root within the industry, and the prospect of getting in on the ground floor was really exciting — I wanted to be a part of it. Being from Silicon Valley, I knew I was in the best place to make that a reality, so I jumped into the deep end. Immediately after college graduation in 2007, I got my license and became a Realtor near my hometown. I wanted to intimately know the ins and outs of real estate before building ways to make the process better. After life as an agent, I started a brokerage and then a Web startup, Agentleaf — the first algorithmic agent-ranking system — before joining Trulia in 2011. Ever since, I’ve been focused on finding ways to help agents connect with more consumers and improve their day-to-day lives. 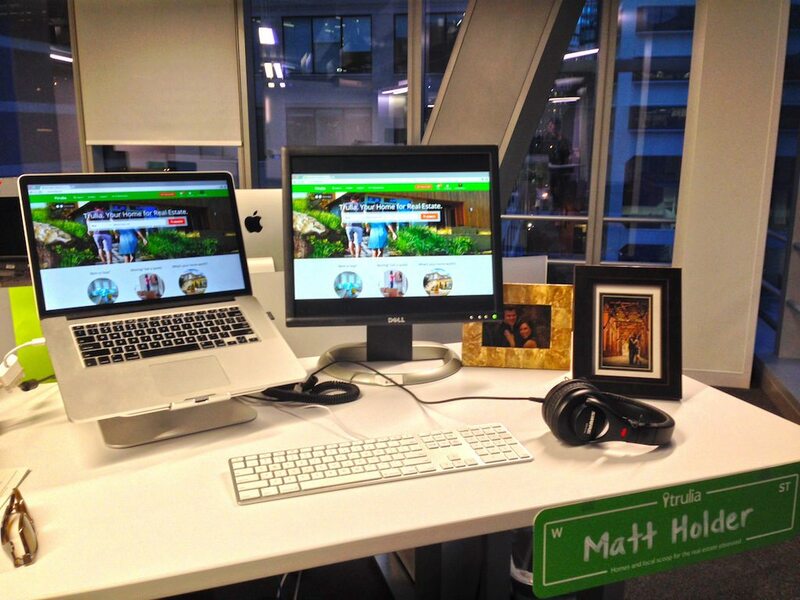 A majority of what I do at Trulia is driven by my life as an agent, real estate investor and homeowner. I’ve been through the good and bad from all sides of the table and I know there’s so much that can be done to improve the overall experience. My work on products like our agent directory, agent profiles, seller ads and agent app are all directly related to solving needs I had as an agent, whether it’s to help great agents stand out from the crowd or to find ways of helping them get business done on the go. “TECMO Baseball” (Nintendo) – I’ll beat anyone. The thing I hate most about technology is that it can be a vice if you’re not careful. We’re so easily seduced (me included) by the capabilities of technology that it can quickly replace the humanity in our day-to-day lives. Technology is meant to be a tool to enhance your life, not take it over. It’s something I struggle with — it’s hard to disconnect. There are a lot of things about the industry I’d like to fix. I think one of the most critical things I’d fix today is unlocking listing data. The people who are ultimately hurt most by the power struggle are the agents who are trying to sell the next deal and the consumers who are trying to get their place sold or buy their dream home. The last time we saw significant change in access to listing data was the creation of the multiple listing services, and that ended up providing so many benefits to all. Liberating the listing data will allow everyone to spend more time focusing on elevating the experience for agents and consumers. Absolutely. There are so many ways in which technology can change the industry. We’re just on the cusp of what’s possible with technology, so the next 10 years will be very interesting. Real estate has historically lagged 10-plus years behind most other industries, so the best is yet to come, and I look forward to being a part of it. Listing data and inefficiencies in the real estate industry are nothing compared to global warming, access to clean drinking water, education, health care and equal opportunity. I am very fascinated by people and companies who are able to innovate in these areas because making strides in any will significantly improve the lives of millions (if not billions) of people. Deeply impacting people’s lives. There’s nothing better than talking with someone who was able to achieve something great having used your product. My definition of success is deeply affecting the lives of as many people as I can. This is what motivated me to join Trulia — it has provided me an opportunity to work toward positively impacting the lives of the hundreds of thousands of agents and millions of consumers who use Trulia products.